ETF Trends publisher Tom Lydon spoke with Ted Lucas, Head of Systematic Strategies & ETFs and Hartford Funds, at Inside ETFs conference that ran Jan. 22-25, 2017. 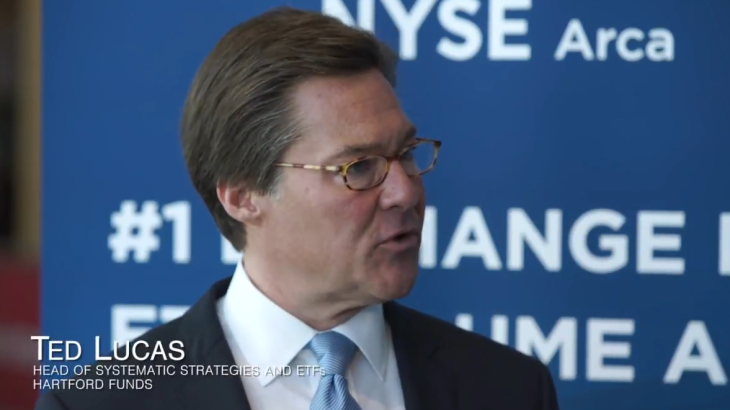 Lucas discussed its systematic smart beta approach to ETFs. Investors face myriad challenges as we move into 2017. Elevated equity valuations, rising interest rates, and anticipated volatility are creating an environment in which growing capital is a particularly tough proposition.